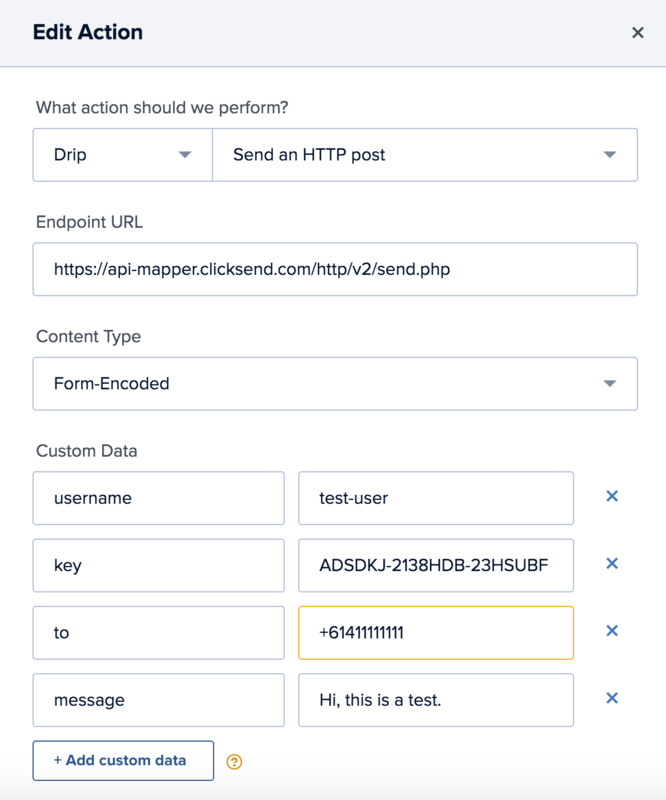 Send a SMS with Drip using ClickSend. Create a workflow in Drip. Optional, you can use the 'senderid' parameter to set the from number/name (More info).